[CASE1] After primary square jaw surgery using jaw-shaving technique, the chin was still wide and long; V-line square jaw surgery using inverted V-shape osteotomy and lateral cortical osteotomy were performed for revision. [CASE2] After primary square jaw surgery using jaw-shaving technique, no reduction is seen from the front; V-line square jaw surgery using inverted V-shape osteotomy and lateral cortical osteotomy were performed for revision. 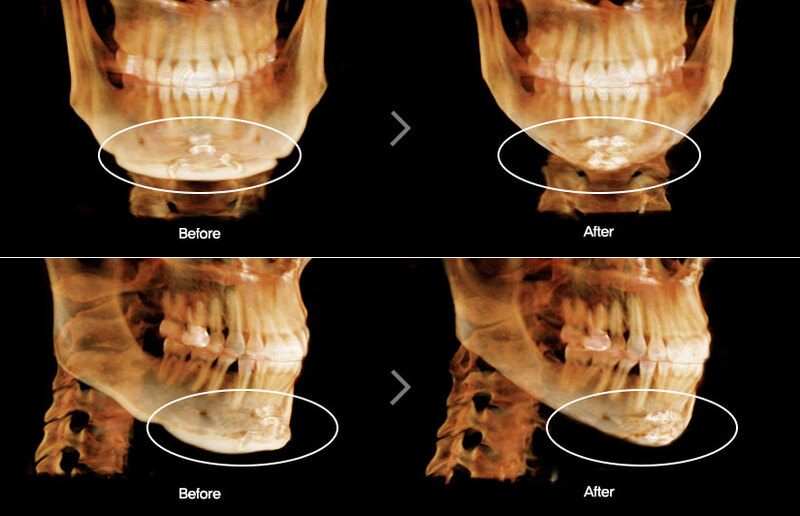 [CASE3] After primary square jaw surgery using jaw-shaving technique, no reduction is seen from the front; V-line square jaw surgery using inverted V-shape osteotomy and lateral cortical osteotomy were performed for revision. 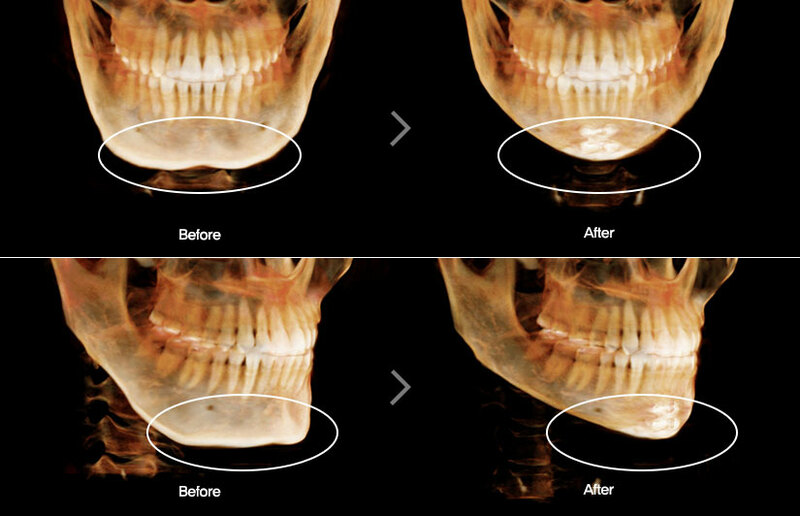 [CASE4] After primary square jaw surgery using jaw-shaving technique, no reduction is seen from the front and asymmetry remains; anterior square jaw surgery and lateral cortical osteotomy were performed for revision. 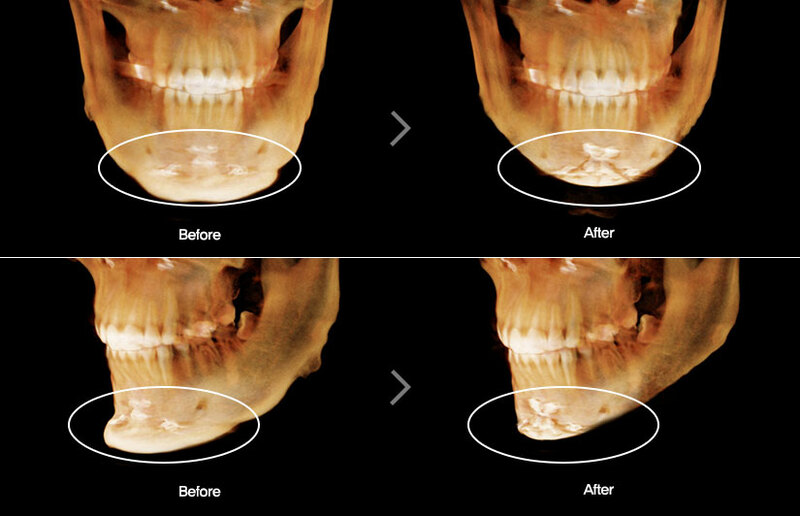 [CASE1] After primary square jaw surgery using jaw-shaving technique, no reduction is seen from the front and asymmetry remains; anterior square jaw surgery and lateral cortical osteotomy were performed for revision. [CASE2] After primary square jaw surgery using jaw-shaving technique, no reduction is seen from the front and asymmetry remains; anterior square jaw surgery and lateral cortical osteotomy were performed for revision. 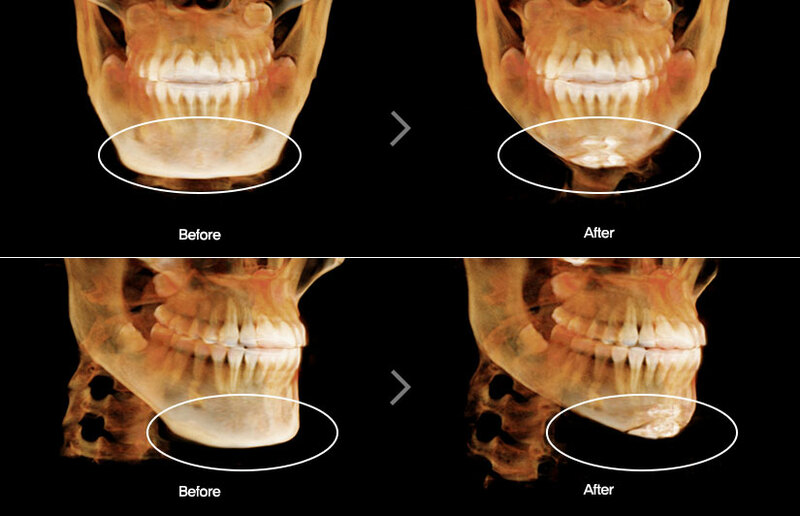 [CASE3] After primary square jaw surgery using jaw-shaving technique, no reduction is seen from the front and asymmetry remains; anterior square jaw surgery and lateral cortical osteotomy were performed for revision. 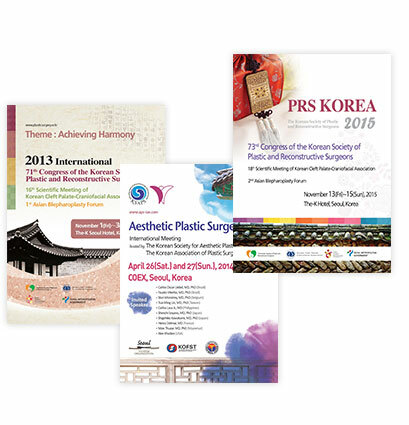 [CASE4] Primary square jaw surgery using T-shape osteotomy neither made a reduction seen from the front nor corrected the wide chin; V-line square jaw surgery and lateral cortical osteotomy were performed for revision. 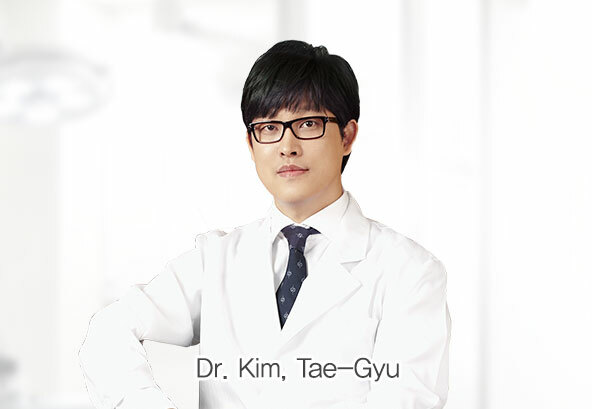 [CASE1] Primary double jaw and chin surgery made an irregular and staircase-shaped jaw line; V-line square jaw surgery using inverted V-shape osteotomy and lateral cortical osteotomy were performed for revision. 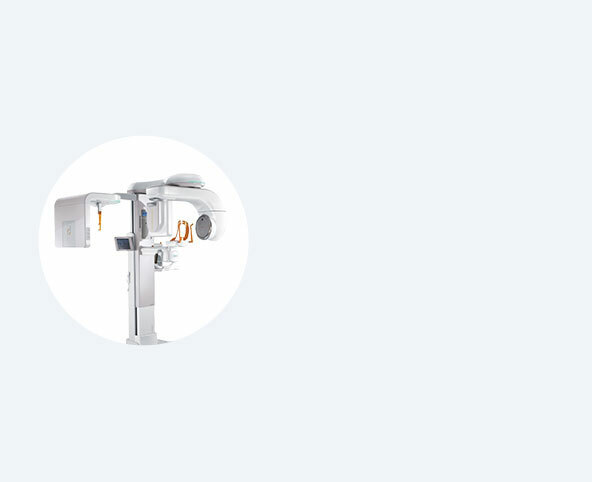 [CASE2] Primary square jaw surgery produced a secondary angle; V-line square jaw surgery using inverted V-shape osteotomy and lateral cortical osteotomy were performed for revision. 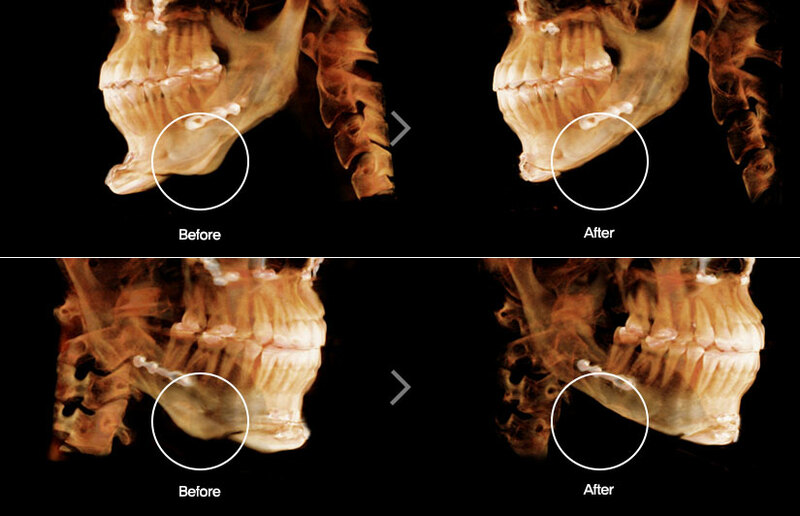 [CASE3] Primary square jaw surgery produced a secondary angle; V-line square jaw surgery using inverted V-shape osteotomy and lateral cortical osteotomy were performed for revision. 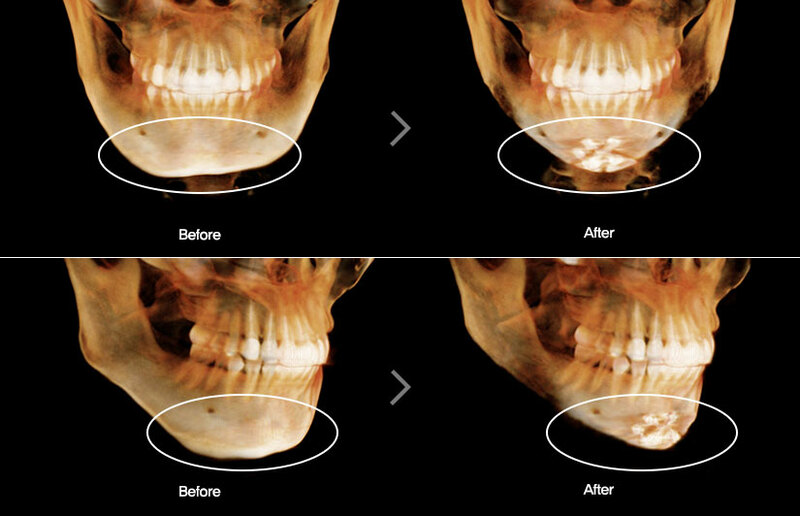 [CASE1] Primary mouth protrusion surgery with T-shape osteotomy was unable to shorten the chin and caused it to protrude; V-line surgery using inverted V-shape osteotomy and reverse genioplasty were performed for revision. 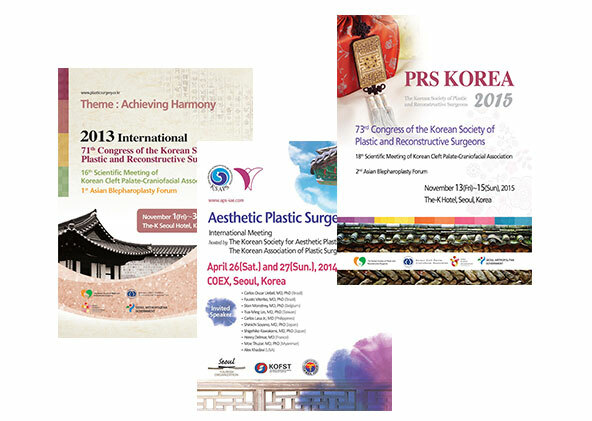 [CASE2] Primary double jaw surgery and advancement genioplasty made the chin longer and protruded; V-line surgery using inverted V-shape and reverse genioplasty were performed for revision. 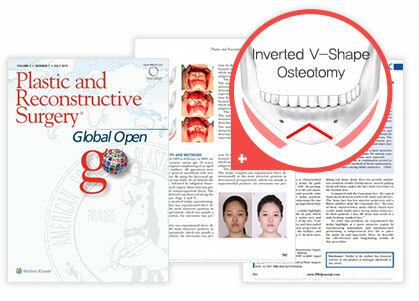 [CASE3] Primary T-shape osteotomy was unable to correct the wide and long chin; V-line square jaw surgery using inverted V-shape osteotomy and lateral cortical osteotomy were performed for revision. 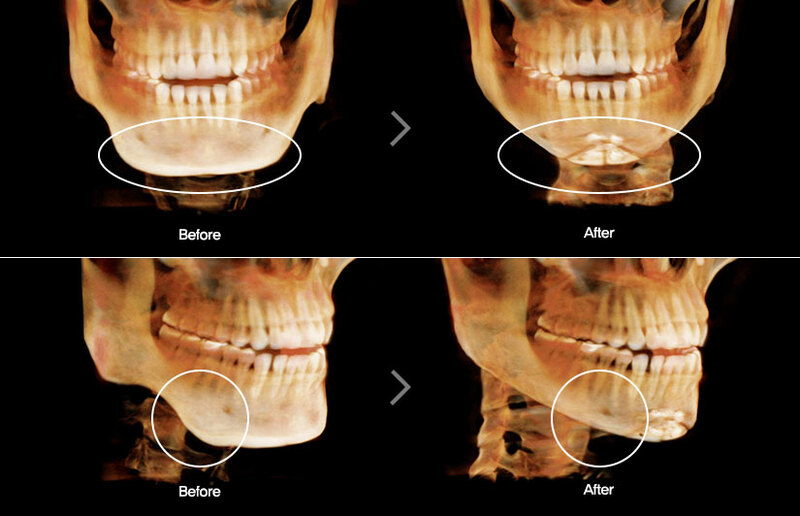 [CASE1] Primary T-shape osteotomy shortened the chin and aggravated its asymmetry; a chin bone graft, anterior square jaw surgery and lateral cortical osteotomy were performed for revision. 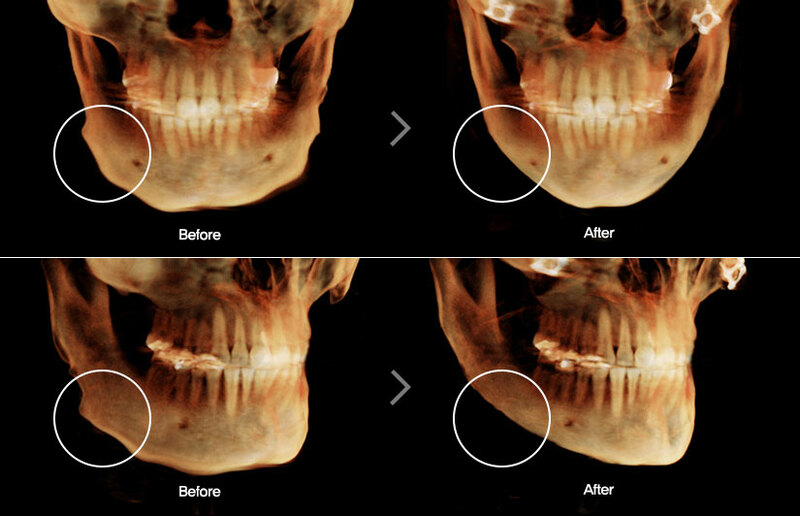 [CASE1] Primary square jaw surgery made the chin and jaw line irregular; anterior square jaw surgery and lateral cortical osteotomy were performed for revision. 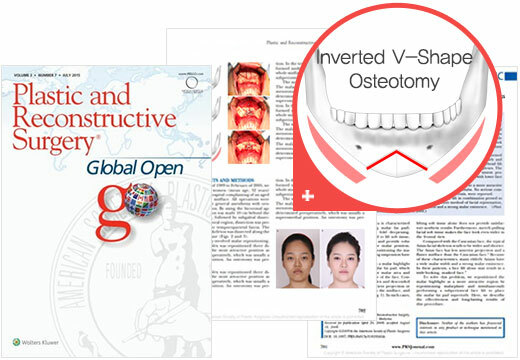 [CASE1] Primary double jaw and V-line surgery using T-shape osteotomy aggravated the asymmetry; V-line square jaw surgery using inverted V-shape and lateral cortical osteotomy were performed for revision. 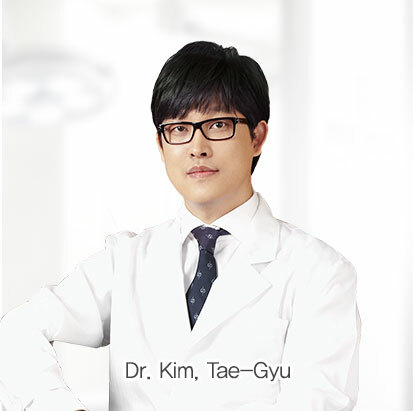 [CASE2] Primary V-line surgery using T-shape osteotomy aggravated the asymmetry; chin reconstruction using artificial bones and osteobond was performed for revision. 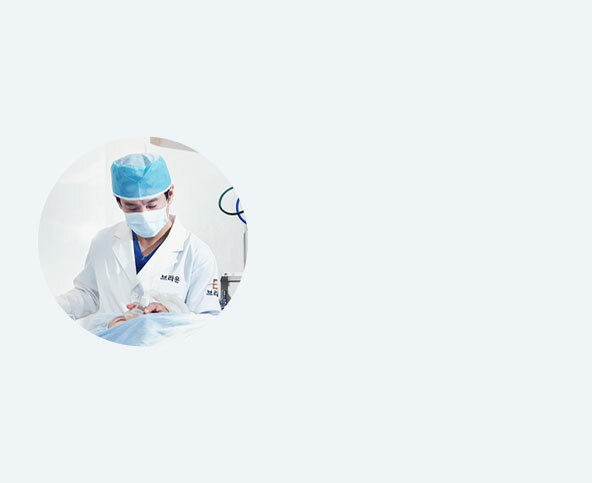 [CASE1] Primary filler injection made the chin reddened and too long; V-line surgery using inverted V-shape osteotomy and advancement genioplasty were performed for revision. 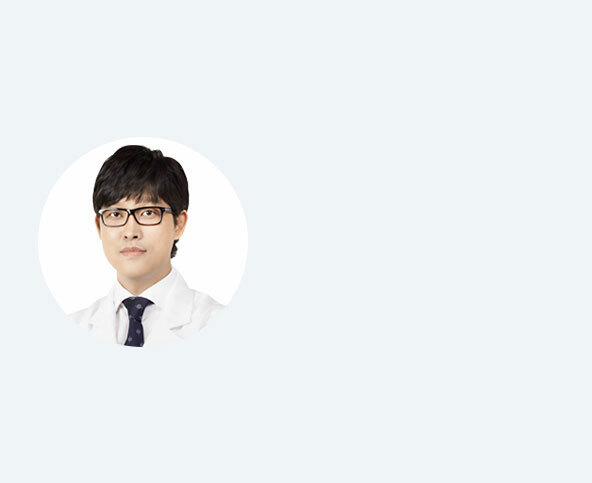 [CASE2] Primary chin implant surgery made the chin thicker and unnatural; V-line surgery using inverted V-shape osteotomy and advancement genioplasty were performed for revision. [CASE3] Primary chin implant and square jaw surgery made the chin too long and protruded; V-line surgery using inverted V-shape osteotomy and advancement genioplasty were performed for revision.